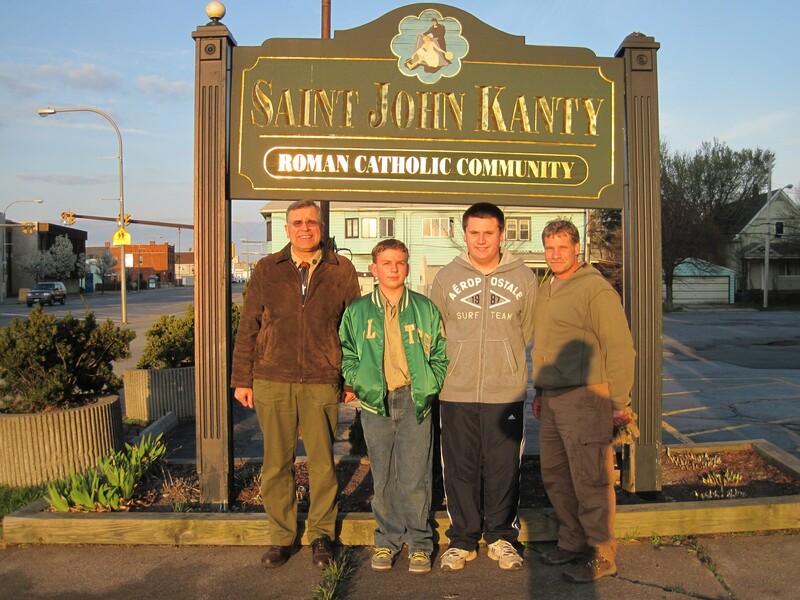 On April 1, 2012 two scouts from Troop 107, Colin Augustyn and William Fourby, received the Ad Altare Dei Medal from Bishop Kmiec. The purpose of the Ad Altare Dei (to the altar of God) program is to help Catholic Boy Scouts develop a fully Christian way of life in the faith community. The program is organized in chapters based on the seven Sacraments. The seven Sacraments are a primary means toward spiritual growth. The most important aspect of the program is that the Scout grows in his spiritual experience of his relationship to God and the church. These scouts worked with their Eucharistic Advisor, Mr. Robert Koza, over a period of 6-8 months to meet the requirements of the Ad Altare Dei Scout Manual and to prepare themselves to receive the medal. They were required to present their experiences at a Board of Review. The Ad Altare Dei program was created in 1926 by Rev. James Dolan for the Archdiocese of Los Angeles. The original program has undergone several revisions, the most recent being in 1988. More than 300,000 Ad Altare Dei emblems have been presented. Mr. Randy Siejak is Scoutmaster. Pictured below L-R: Mr. Koza, William Fourby, Colin Augustyn, Mr. Siejak.